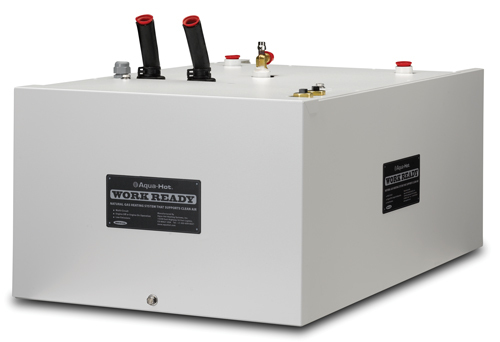 The Triple Circuit WORK READY coolant-based heating system adds a closed circuit that can be dedicated to heat potable water and other fluids, without concern of mixing with the glycol solutions in the other two heating circuits. 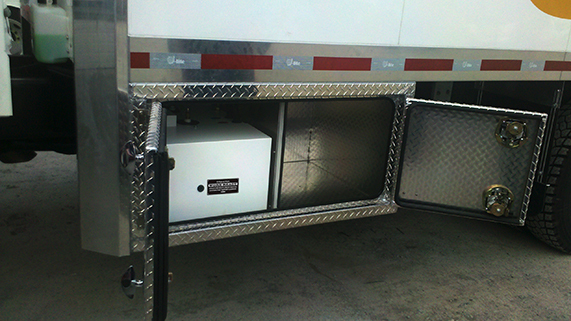 Some applications just need hot water or fluid, such as delivery trucks required to have spill cleanup materials, medical trailers and portable lodging units. 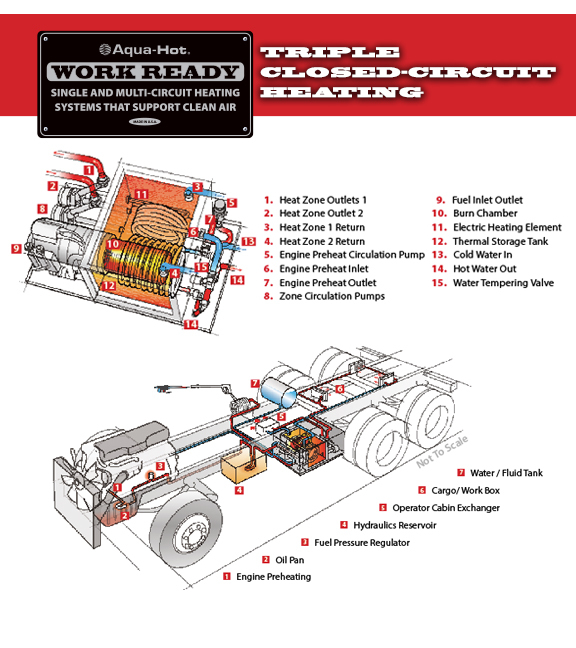 With this circuit, the temperature can be set to deliver a continuous supply of hot water up to 110°F/ 43°C with zero recovery time. 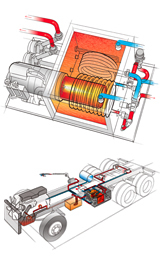 The multi-circuit thermal storage tank lets the burner run less and require less fuel to maintain operating temperature.